Sneakerheads with long memories will remember Grant Hill lacing up in the FILA 95s and 96s back in the day when Jordan sported the 45 jersey for a hot second. FILA continues to play around with these old models creating new colorways with a retro feel. March 6 will see the release of the “RED” pack, with the two pairs seen here. The first is a red suede FILA 96 accented with patent leather, on a red midsole and speckled outsole. We reported on this 96 in the fall, and are psyched to finally have a release date. The FILA 95 is offered in a near retro, with the black and white leather upper, but with a twist: the red eyestays give a fresh update keeping FILAs continued evolution exciting. 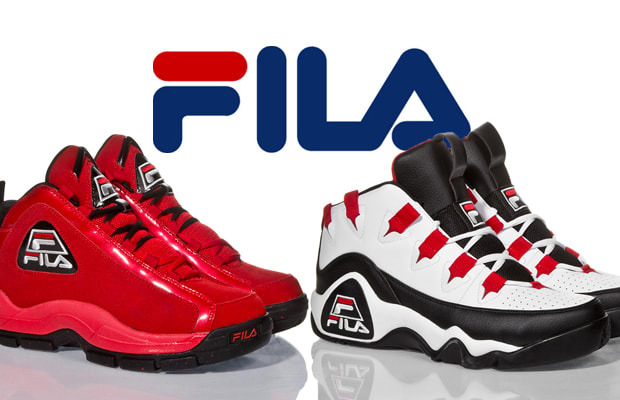 Look out for these pairs on FILA.com or your local boutique next Thursday when they release.